There was a time when people used to store files containing their data and information into various traditional places like DVD, CD, Computers Hard Disk and flash drives etc. But gone are those days and we are now in the modern world of the cloud where the best cloud storage services have got you covered with their outstanding features of keeping your files safe and secure. Usually, most of us know that cloud storage services hold a very important place in our lives. The Cloud services have become an integral part of our modern lives, especially in the new digital era. Various cloud services like Google Drive, Dropbox, One Drive, Box, Copy, iDrive etc. let you store your files on faster, safer and very secured cloud servers. They allow you to synchronize your files on multi-devices on various operating systems. Thus you can sync your files and access them from any of your device such as Desktop PC, Laptops, Tablets, Smartphone etc. as well as from various OS like Android, Windows, Mac, Linux, Apple iOS and Blackberry etc. This makes your data sharing and enhancing privacy and security of your data easier. This is the one advantage of these best cloud storage services that make them superior to all other traditional storage solutions that we had in the past. Choosing the right Cloud Storage Solution from the various so called “Best Cloud Storage Services” available may be a daunting task. Because each of cloud services has their own advantages as well as limitations. So to help you choose the perfect cloud storage service for your needs, I’m going to share the list of “11 Best Cloud Storage Services with Multi-Device Synchronization Feature”. Dropbox is the most popular cloud storage solution yet available in the market. It is the only cloud storage solution that offers clients for Linux and Blackberry also along with Windows, Mac, Android, and iOS. It is also available for Amazon Kindle Fire mobile OS. 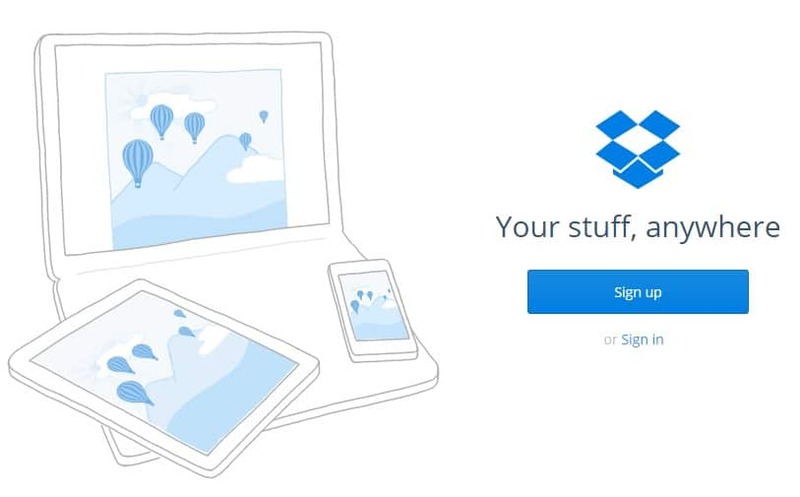 The basic cloud storage of Dropbox comes with 2GB of free storage on the standard account which you can upgrade further depending upon your needs. However, the interesting part is you can also invite your friends to join Dropbox and after each successful invite, Dropbox offers your 500MB of free storage up to a maximum of 16GB. Thus you can enjoy a very fast, safe and secure cloud service of up to 2+16=18 GB for free. Due to its availability on all existing OS and devices, this makes syncing your files and data easier. And hence, it is considered as the best cloud storage service available right now. Google Drive is another best cloud storage service which comes next to Dropbox. 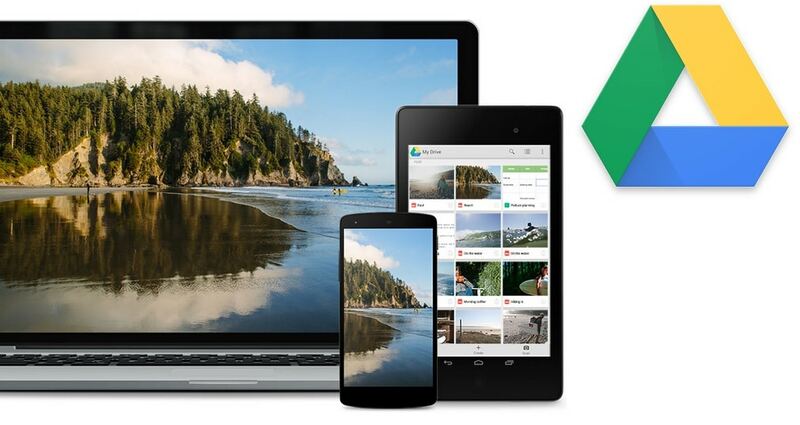 Google Drive is the cloud storage service offered by Google. If you have a Google account (say Gmail) you are already allowed to access 15 GB [upgradable] of free cloud storage. However, it is worth noting that the 15 GB of free cloud storage is collectively shared among all your other Google services. Google Drive is a multi-platform cloud service that you can access on mobile OS like Android, iOS, Windows, Blackberry via respective apps as well as on Desktop PC such as Windows, Mac, Linux etc via desktop clients. Like Dropbox, it also syncs your files and folder automatically from your smartphone, PC or other devices. Thus providing you a quick and easy way to store and share your files, folders, images, videos, Google docs, sheets, slides, presentations, drawings etc. with your co-workers or friends and family in a more easy and secure way without comprising your privacy as you have complete control over what to share and what not. Next to come in the list of best cloud storage services is One Drive. It is a cloud service offered by Microsoft. 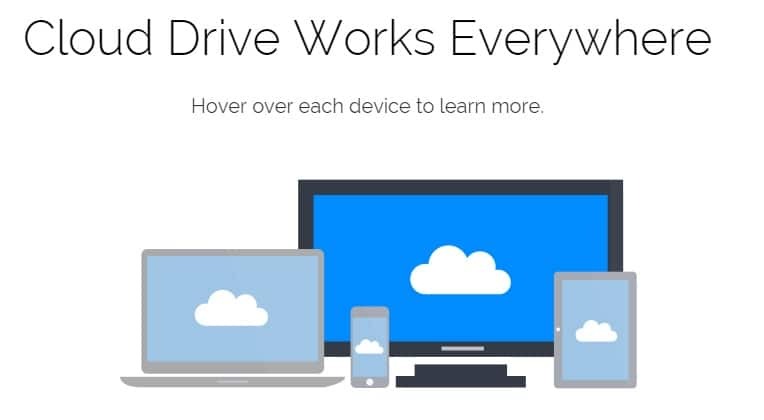 One Drive was formerly known as Sky Drive. It offers 15 GB of free cloud storage as sign up bonus which you can also upgrade later depending upon your needs. Like Dropbox, it has also a referral program that provides you extra storage space of 500 MB for every friend you successfully invite and additional 3 GB for enabling mobile photo auto-syncing. One Drive is a great way to save, sync and share your files, images, office documents, sheets, slides presentations, videos etc. with your friends and coworkers easy and very securely. It also offers multi-device synchronization feature which means you can access your cloud storage on whichever device or OS you wish. Apple iCloud is another best cloud storage service that is offered by Giant Apple. It allows you to save your files, images, apps, safari bookmarks and share with your friends and coworkers via iCloud. Though you can access your files on other OS like Windows by visiting iCloud.com, it is certainly not the best cloud storage service especially for smartphone or tablet users, if you are using an OS other than iOS. 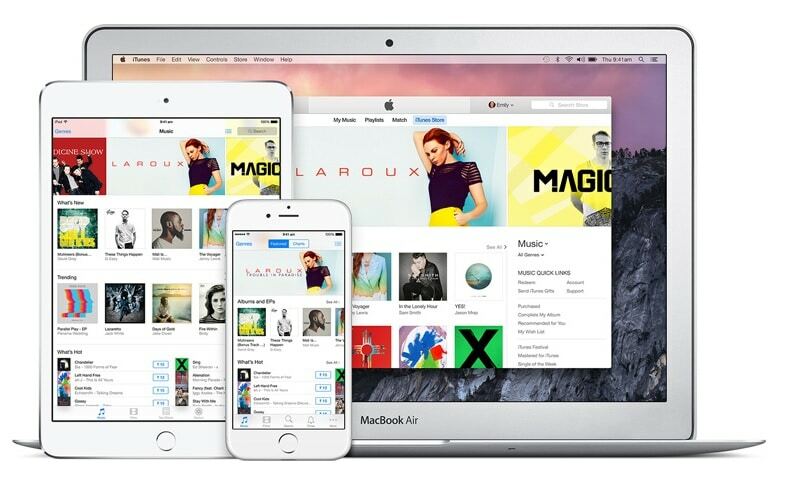 Apple iCloud offers 5 GB of free storage which is upgradable depending upon your needs. It is quite perfect for Apple ecosystem as you can sync and backup your all files, photo, music, and apps as well as safari bookmarks among various iOS devices but when it comes to other Operating Systems such as Android and Blackberry smartphones, syncing remains a matter of concern. Not staying much behind Apple, Microsoft, and Google – the giant e-commerce Amazon has its own cloud storage called “Amazon Cloud Drive“. It offers 5 GB of free cloud storage for every Amazon users. You can easily upload and save your file on much secure cloud servers of Amazon Cloud Drive. It also allows you to create a public accessible link thus enabling you to share your files with others publically, even if the person has no Amazon account. However, it is worth noting that the folder sharing is not supported. Files can be uploaded using the desktop client software or web versions but folders can only be uploaded via the web version. 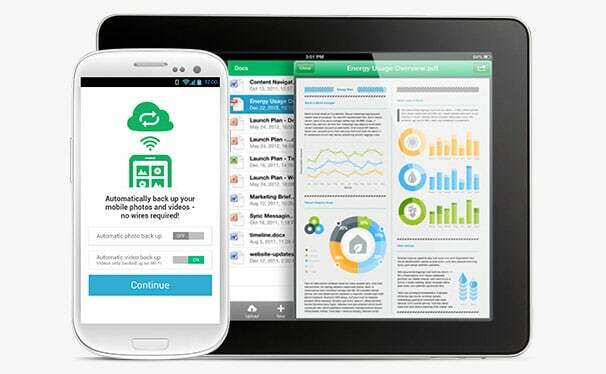 Though mobile app available for Android and iOS devices make even much easier for you to keep your cloud together. Box is yet another best cloud storage service which offers 10 GB of free storage space as sign up bonus to every user. It provides quite easy to use and simple interface with a very fast and secure cloud solution for free file hosting. However, it is worth noting that it allows you to upload a maximum of 250 MB file size. This limit can be removed if you upgrade your account which offers you 100 GB of storage with 5 GB of maximum file size limit. Box is available for multi-platform as using the mobile app available for iOS, Android, Blackberry, and Windows etc. you can upload, sync and share your files more easily. Sugar Sync is a very powerful cloud storage solution for users who wish to host their files for free and enjoy syncing feature on multi-devices. Sugar Sync offers 5 GB of free cloud storage space to every user as sign up bonus. It is supported by desktop computers such as Windows and Mac as well as mobile OS like Android, iOS, Windows, Blackberry etc. Thus you can easily upload, sync and share your files, images, documents, videos etc using its very secure server. The mobile app is quite beautiful in design and provides a very attractive user interface. Open Drive having a name quite similar to One Drive, is often misunderstood but it is a very powerful cloud storage service that offers 5 GB of free cloud storage to every user as sign up bonus. It is worth noting that the maximum file size limit with the free basic plan is 100 MB only which you can extend by upgrading your membership plan. Open Drive is an effective way to back up, store and manage your cloud component from one place. The service is available for Windows, Mac, Android, iOS, Blackberry and even via the Web also. Which means it automatically syncs your files wherever you are. Just modify your files or folders from your smartphone and it would be automatically modified everywhere. 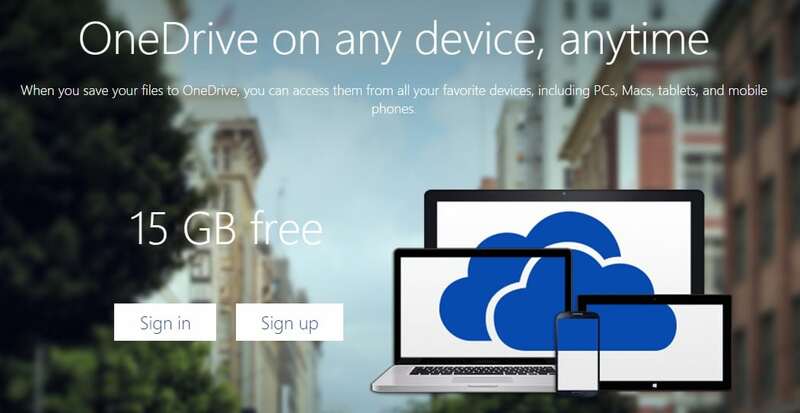 Next to come to this list of best cloud storage services is – iDrive. It is a very effective way to host your files for free as it offers you 5 GB of free cloud storage along with 5 GB of additional sync space. 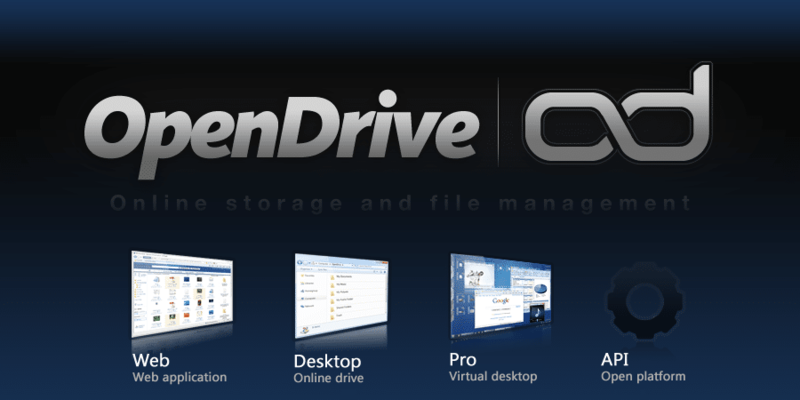 iDrive is a very powerful and secure cloud service that lets you create, backup and share your files easily. With the availability of iDrive mobile apps for various operating systems, it becomes even much easier to sync your files across multi-platforms like your Desktop PC, Laptops, Tablets as well as smartphone and hand held mobile phones. SurDoc is another useful and best cloud storage service that allows you to save, sync and share your files, media and docs etc on its powerful cloud servers for free. SurDoc offers new users a free cloud storage space of 100 GB which can be extended up to 1 TB by completing various activities like referring friends, sharing files etc. However, it is worth noting that the free 100 GB of storage expires after one year. But you can still use extra spaces for sharing files and get more cloud data by completing their checklists. The cloud service is very powerful and flexible as it lets you sync your data over various devices via its desktop client for Windows, Mac as well as a smartphone app for Android and iOS etc. Finally, the last to come to this list of best cloud storage services is Media Fire. Media Fire is a cool way to get your all media files together online on a very powerful, safe and secure cloud servers. It offers 50 GB of free cloud space to back up all your important as well as not-so-important files in a very secure and private place. 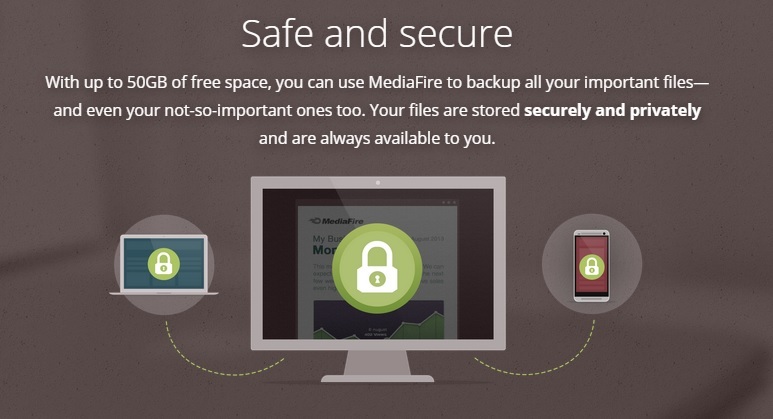 Media Fire is a multi-platform free cloud service that lets you sync and access your photos, videos, screenshots etc. and other media files easily anywhere. The cloud storage is available for Windows, Mac, Android, iOS etc. as well accessible via the web. So here concludes our freshly updated, ultimate list of best cloud storage services available for Windows, Mac, Android, Linux, Blackberry, iOS and other OS. Choosing the right cloud storage service is a very crucial. Hope this will help you to choose the right cloud solution depending upon requirements and affordability. Dis I miss any? Add your favorite cloud storage service to this list using the comment box below. We can also edit documents online on google drive and one drive ! You have mentioned a nice point here that we can also edit documents on Google Drive and One Drive. Thanks for dropping a comment. Keep adding such valuable points with your comments, I really appreciate it. By the way, which is your favorite among these ?